Our children are under stress from a variety of sources. In school, students endure high-stakes testing and are working to meet rigorous new academic standards. Outside of school, friends and classmates are learning to navigate relationships in the new frontier of social networking. Parents must now deal with an emerging and very serious new issue. As the town of Allegany struggles with the issue of industrial wind turbines, parents and school officials should thoroughly evaluate risks posed to the health of Allegany’s children. I have included a letter, which was read at the Vermilion County, Ill., board meeting on Oct. 8, and written by William C. Mulvaney, a superintendent of schools. It is a cautionary tale concerning industrial wind turbine installations. “My name is Bill Mulvaney and I am the superintendent of schools for Armstrong Township High School and Armstrong-Ellis CUD No. 61. I also served on the wind panel that met to try to give direction to the county board on wind turbine ordinances. Our panel did not come up with any recommended changes, but I would like to share a few thoughts with you. “I have noticed that we have some children in our district that appear to be having some medical issues related to the wind turbines. Headaches, lack of sleep and jaw issues seem to be the most common. The students also complain about not being able to sleep or not getting a full night’s sleep due to sound issues. “We have also been advised that we will be losing a couple of families because the wind turbines were placed close to homes and the families can no longer handle the flicker and noise issues. “While these issues were brought up at our panel discussion, I was not fully aware of the impact that the wind turbines would have to my school district. 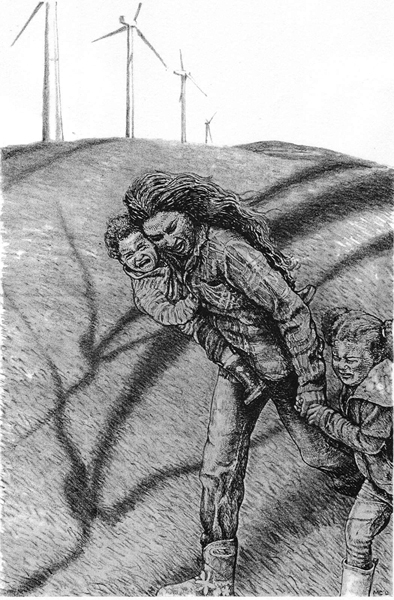 It is never a good thing when children have health issues or families have to leave their homes to get away from the turbines. The revenue generated by the turbines is a blessing to our schools, but the unintended consequences are real. Many communities like Mr. Mulvaney’s Armstrong Township are learning their families and children are vulnerable to medical and safety effects. The health and noise issues caused by turbines are being studied around the world. Increasing instances of negative impacts are now being documented. A problem has been that industrial wind turbines have only recently become so immense due to engineering breakthroughs using new structural materials. A consequence is that there is almost no long-term data showing how such huge turbines impact residents in nearby neighborhoods. 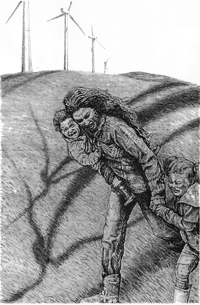 As troubling indications continue to emerge, the wind lobby and those wanting to build wind turbines without regard to their negative impacts on children, the aging, the ill, etc., rely on slick and well-funded publicity campaigns and propaganda denying everything. This is no different than what the tobacco lobby so successfully did for decades. Physicians and scientists knew the truth, but big money talks, so tobacco companies became richer while the public suffered. Parents, school officials and government leaders should know that the substitute turbines requested by EverPower/Allegany Wind at the planning board meeting in September 2012 are bigger than any yet installed by this corporation, with a 37 percent greater rotor sweep than the Illinois turbines referred to by Mr. Mulvaney. They have no field history with such machines. When the Allegany Town Planning Board requested additional environmental impact studies before approving them, Allegany Wind refused and instead sued the board for asking for them. What are they so determined to hide? Instead of cooperating, they expect Allegany’s children and residents to serve as test subjects for 20 years. The majority of those recent demonstrators demanding to build Allegany Wind will live miles away and, so, are willing to overlook or deny any potential negative impacts on those located nearer turbine alley. These wind farms very often spread out in all directions once a foothold is established with a few original machines. Allegany’s electorate should not allow a write-in takeover of the town board by a special interest group that would push for that very turbine blight to happen. On Nov. 5, please vote for the town board candidates listed on the ballot.